This week I was fortunate enough to be invited to a fans forum at Celtic Park. 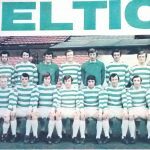 In attendance were representatives from supporters groups including Celtic Supporters Association, Disabled Celtic Supporters Club, The Celtic Supporters Trust and others, along with people from various blogs and ordinary season book holders. From the club there was an impressive turnout from the Executive, including the CEO. The meeting was chaired by Fan Liaison Officer John Paul Taylor and there was a lovely array of sandwiches and other refreshments. The aim of the meeting is to establish a transparent line of communication between the Club and fans through the Club’s SLO. It is planned that we will hold one meeting every quarter throughout the year and will rotate the attendees on an annual basis or sooner if anyone elects to drop out. In order to make best use of the time available, questions have been taken in advance and responses provided which we will discuss based on feedback from the floor. After this and each subsequent meeting the questions and responses will be published and a set of actions will be developed which will be reported on during the interim period and at the next meeting if necessary. 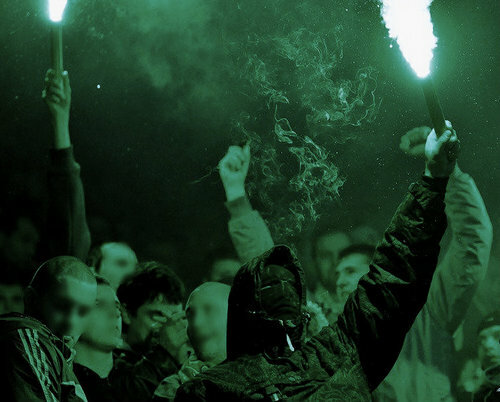 What is the current position in respect of the Green Brigade? Although no members of the Green Brigade were present at the meeting, given that this issue is a source of much discussion amongst supporters it was felt that it was appropriate to answer the question. The Club can confirm that, if a relationship with the Green Brigade can be developed, then attendance of their members at future meetings would, of course, be discussed with them. There was a breakdown in trust and confidence following the matches against Milan and Motherwell. However, the Club welcome dialogue, as it does with all supporters. 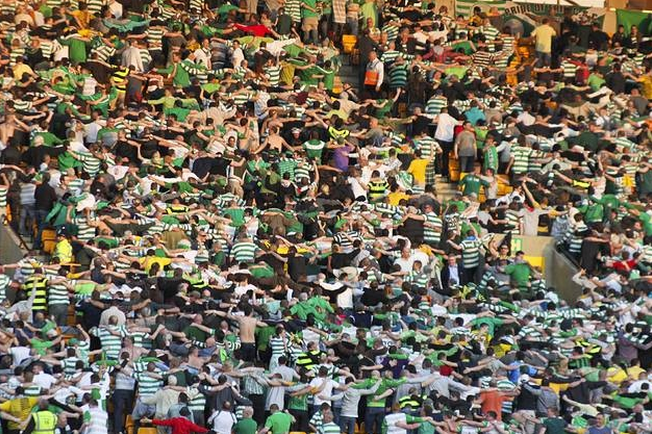 The group are a colourful addition to Celtic Park; however they must abide by the same rules as all fans. These include the Ground Regulations, the law and the competition rules such as those set out by the SFA, SPFL and UEFA. The Club considers this an entirely reasonable position. In all situations the reputation of Celtic and our supporters is paramount and must be protected. Do the Club believe their response to Motherwell was justified and proportionate? We believe the vast majority of the Support backed the Club on this matter. Celtic suffered substantial reputational damage as a result of significant physical damage to Fir Park on December 6. There was overwhelming evidence that a large group of fans had occupied a section of the lower tier which they did not have tickets for. On this basis the Club immediately suspended the STs of those involved pending further investigation. Given that no charges were brought against anyone within this group, the suspensions were lifted at the earliest opportunity. Stewarding at home matches is heavy handed in certain sections of the Stadium e.g. Block 122 and Blocks 110, 111 & 112, is there a reason for this? There can be no excuse for ‘heavy handed’ behaviour by stewards in any part of Celtic Park. Should there be reason to complain about the manner of stewarding the steward’s hi-vis jacket number should be recorded and the specific details of the complaint submitted to the Operations Department at the Club. All complaints will be fully investigated and responded to. The primary duties of stewards relate to spectator safety. The Club is required to report on a match by match basis to the Safety Advisory Group of Glasgow City Council behaviour in parts of the stadium which those responsible for safety consider to be unsafe. Such behaviour includes continual standing in a seated area, lateral movement and overcrowding by persons migrating to sections of the stadium without tickets for that area. To ensure a safe stadium it is important that stewards and fans work together and the Club is keen to develop this approach. The presence of FoCUS at home matches is intimidating and antagonises supporters, is it necessary to have them and if so can they be located in an area which is less intrusive? The deployment of Police Officers within Football Stadia is at the discretion of Police Scotland, and this includes Officers within FoCUS section. However the Club can and do advise on concerns or suggestions raised by fans. John Paul Taylor (Supporter Liaison Officer) and Ronnie Hawthorn (Head of Safety, Security and Operations) have met on two occasions with Chief Inspector Stephen McAllister the head of the Football Co-ordination Unit Scotland. Mr. McAllister has indicated his willingness to reduce the presence of his officers commensurate with the positive behaviour of football fans home and away. Chief Inspector McAllister has met with representatives of Supporters Groups in the past and has indicated his willingness to hold similar meetings in the future to explain the role of FoCUS and listen to concerns. Can the Club introduce a code of conduct which all Stewards need to sign up to? We have recently developed a brand new policy based on treating supporters fairly which will be backed up with a complaints handling procedure. This is due to be rolled out across the Club in the next month or so and will give all fans a clear understanding of our commitment to them and a route to follow in the event of an unsatisfactory experience involving Celtic. Stewards are currently issued with a Stewards’ Handbook outlining their duties which primarily relate to spectator safety. In addition, steward supervisors are issued with match specific Briefing Notes which are relayed to members of their team prior to the stadium opening. To enhance the match day experience we would welcome input on the content of all match day steward Briefing Notes with representatives of our fans. Attending matches is expensive, what are the Club’s plans on ticket pricing? The club rewarded supporters with a £100 reduction on season tickets. This proved to be very successful with the Club selling more season tickets than the previous season. The Club also reintroduced the £50 kids price which works out at £2.38 per game for an under-13, a season ticket for 13-16 was £105, £5 per game and for 17-18, the price was £186, £8.85 per game. The Club also introduced an under-13 match price of £10 for kids which has proven to be successful. This is an extremely important income stream for the Club. There is evidence to support the fact that simply cutting prices does not automatically increase attendances. Our recent Cup tie V Aberdeen was competitively priced at £15 & £5 for ST holders and failed to attract more than 35,000 fans. Other Clubs, Dundee Utd, Kilmarnock & Motherwell have adopted cut price schemes which did not produce the desired effect and resulted in significant losses. There is a train of thought that halving the prices would double attendances but there is no evidence to support this. If we accept we need as a minimum to double attendances to effectively stand still financially, this is a high risk strategy which if unsuccessful would result in a drop in revenue. The net impact would mean that UEFA Champions League football becomes less and less likely. Safe Standing has been regularly discussed, what is the current position? We are still in discussion with the safety team and a further meeting is due to take place shortly. We have produced plans for safe standing and it is planned to be situated in the North East quadrant of the stadium and could incorporate 2,797 spectators. Should this be successful, we are also looking into the possibility of extending the area. The Coach Park has been relocated to an area which is unsuitable for the majority of fans who use it, what is the longer term plan? Based on feedback we’ve received from supporters we are currently considering a number of options relative to the coach park and are hopeful that we will be able to reveal details soon. The Kerrydale Bar has been a welcome addition to matchday, are there plans for another? The Kerrydale Bar has been a well received addition to the matchday experience for those fans that use it. We have, however, seen a reduction in the numbers lately and with this in mind it is difficult to commit to an additional Bar until we see full utilisation of the current facility. What are the Club’s thoughts on the current location of the Family Section? Based on recent feedback we carried out a survey of supporters located in the Family Stand. Of those who responded 81% advised that they were satisfied with the current location. Stadium Catering has long since been considered over-priced and sub-standard, what is the current position in terms of offering an improved service? We are currently in negotiations with a caterer for next season. The current deal ends in May 2014. Fan comments on previous catering will form part of the negotiations for the new contract. Many fans feel their support is taken for granted, would the Club consider adding value by recognising long-term support for 5, 10, 15 years’ Season Ticket purchase by offering upgrades to Premium or Corporate for a day? We value greatly the support we receive from every Celtic supporter and none more so than those long standing Season Ticket Holders. The subject of long term commitment and continuous support of the Club is something that has been identified and discussed in recent months. We are currently exploring ways in which we can recognize individuals support in a way that is deliverable, consistent and meaningful. As a result of several system changes and upgrades during the 1990s the data we hold electronically does not go back further than this period. We are therefore working on developing a manageable process by which fans could become involved to assist in the recognition of our oldest and longest standing supporters’ commitment to Celtic. This is an ongoing project and we will update on our progress. With so many empty seats on match day at present can the Club not allocate these to good causes, school and youth groups and community projects? The Club, for a considerable while, has provided free tickets to most domestic matches for various groups and worthy/good causes. 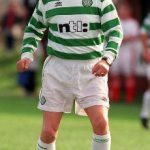 This work has been stepped up in recent months since the Celtic Charity Fund and the Club’s Foundation department merged to become a new charity known as Celtic FC Foundation. Charity and helping in the local community and beyond is a massive focus point for everyone at Celtic. In addition to the regular visitors we bring in through the Celtic Learning Centre, which sits within Celtic FC Foundation, we have had on average 150 other people at each domestic match so far in season 2013/14. These people have come from all walks of life but are consistent with the charity’s four main values of Improving Health, Ensuring Equality, Providing Education and Tackling Poverty. There is a perception that the Club are quick to criticise our fans but slow to praise them, what’s the Club’s view? There have been many instances of the Club praising our fans in terms of their support and how important they are to the Club – this is something we will continue to do, simply because we want to and because we value the tremendous backing we receive from our fans. ClearlytherehavebeenincidentssuchastheMotherwellmatchrecentlywhichhavearisen. The Club felt it necessary to comment on these issues and we believe that our position was a real reflection of the feelings of our broader support. However, even within this statement we felt it important that we recognised the fantastic contribution of the overwhelming majority of our fans. There are occasions when we feel we have had to make comment, however, we do not set out to criticise our support and such occasions are very rare. We know that unity between the Club and our supporters gives us strength and we know how important this is. Why is the Club not more vocal when our Manager, Players and Fans are attacked in the media? If there are occasions when there are attacks on the Club or our staff and supporters we have been vocal. Categorically, we have fully supported Neil Lennon at all times, indeed Chief Executive, Peter Lawwell, has been quoted as saying that Neil has been subjected to an ‘ongoing campaign of hatred and intimidation’, and that the treatment of Neil has ‘shamed’ Scotland. There have also been instances of our players and manager receiving abuse online for example where we have been very strong in our condemnation and with regards to our supporters, we have regularly ensured that we defend our fans when necessary – the swift and proactive handling of events in Amsterdam are probably the most recent example of this. The Club is seen to be slow to react to key issues through the media, why is this? We are not aware of any key issues where this has been the case. When major issues arise we believe the Club has been swift in dealing with these. Clearly there is a need to consider our position on major issues and a need for judgement in terms of what is in the best interests of the Club and our supporters. However, we do not believe we have been slow and feel we always aim to be on the front foot. The Club has stated its opposition to the OBTC Act but there is a sense that it has to do more in support of the fans who are affected by this, will the Club take a more vocal position? 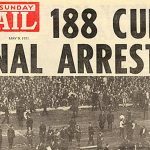 It has always been a fundamental part of the Club’s objection that the legislation discriminates against football supporters, criminalising them for being a football supporter, rather than for the nature of any behaviour. The Club made its position public on the Act through its submission to the Scottish Government and we have delivered public comment on a number of occasions outliningouroppositionregardingthislegislation. Wewillcontinuetodothiswhereappropriate and are already planning to develop this further. Is this meeting recognition from the Club that a gap exists between the Club and the fans? The reason for the invitation to meet was in order for the Club to continue to be proactive in its communication with supporters. We feel we have a healthy relationship with our supporters’ groups and we want this to continue. We communicate now more than ever with our supporters, however, we can always do more and hopefully this meeting will be useful to all involved. The Club are often considered to be on the back foot in terms of PR, is there recognition of this from within and is there a plan to drive the PR strategy by producing more positive stories? The Club’s strategy in this area is to promote Celtic as positively as possible at all times across all its activities on and off the field. In terms of generating positive stories, now, more than ever we drive a positive agenda through our own Club media and across the wider mass media. This covers football, community and charitable activity and commercial activity. Across all areas the Club generates and issues more positive stories than it ever has done. We have a developing multimedia operation and through this, across all its channels we aim to ensure we issue as much positive information to fans as we can, as well as ensuring wider broadcast and print media support to promote these activities. Only in recent week, examples of these would be the launch of the excellent Ireland Fund of Great Britain partnership with Celtic FC Foundation, the Club and Magners charity association and a £10,000 donation for the Club’s Foundation, announcement of Celtic’s new disabled facilities and official matchday opening, the distribution of 2,500 shirts globally to good charitable causes, Celtic retaining its Investors in People Status, announcement of the Club’s financial results, the Launch of the Celtic Former Players Association, Manager and Player of the Month Awards as well as many more Club, fan and football stories covering all areas. 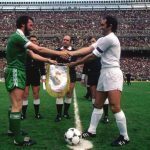 Would the Club consider the introduction of a weekly phone-in show to combat existing shows which often provide misinformation or unrealistic comparisons from unqualified sources? Absolutely, we are already looking at various options around this issue. Given the level of demand which exists, would the Club consider adding to the excellent new disabled supporters’ facility or creating something similar in another part of the stadium? Yes, this is something we are prepared to look at in other parts of the Stadium. Fixture re-scheduling at short notice is costing supporters money and ultimately driving fans away, can the Club seek an agreement with all other Clubs that a minimum notice period is put in place? Despite efforts made by the SPFL there are no definitive rules in relation to the notice period required for broadcasters to give Clubs when a match is selected for television. This season has thrown up some more issues than normal due to the two main broadcaster’s efforts to maximise their viewing figures. From an SPFL perspective there are three ‘pinch points’ in the season. Early season due to European schedules, Jan/Feb again due to European schedules and April due to post split schedules. There has been discussion of putting a rule in place, however the broadcasters have indicated this would be shorter rather than longer notice and once established this would allow the broadcasters an opportunity to schedule matches with the minimum notice period required. This would arguably leave us worse off than we are at present. Would the Club consider a floating credits’ scheme for fans outside Scotland to mitigate losses when matches are rescheduled? Yes, this is something we would consider and are happy to discuss with a view to establishing who the mechanics of this would work and the potential demand. Murrayfield – what is the plan relative to transportation and kick-off times, also Edinburgh cannot be accessed in a 24-hr trip by Irish supporters, and can this be reflected in their Season Ticket offering? Discussions are ongoing and we will liaise with our supporter groups as part of the process. At present away, neutral and European match ticket allocations are based on attendance of matches at each of the defined categories. Would the Club consider a scheme where all matches are taken into account including attendance at home matches as this would encourage more fans to attend home games? Correct – tickets for domestic away matches are allocated based on attendance at these matches, the same procedures are used for European away matches. We do consider membership of the Home Cup Ticket Scheme and attendance at home cup games in the allocation of Cup Final tickets, therefore, attendance at home matches is considered. At this time, the procedures we have in place work well and whilst we review our procedures each season, there are no future plans to take into consideration attendance at home matches in the allocation of away match tickets. For European match ticket allocation there is no stated policy at present, this leads to confusion as fans don’t always know when they will receive an offer or if it’s first come first served, this needs to be made clear by way of a stated policy which allows for clarity and gives supporters a defined process. There is a stated policy which was detailed on all renewal forms and information readily available on our website. Depending on the allocation of tickets the Club receives, information is made available on the website on how tickets will be allocated. Except for the Ajax match this season, tickets were available on a first come first served basis to season ticket holders for all of our European away match tickets. Indeed, we returned tickets for all matches except Ajax. If there is confusion amongst supporters on how tickets are allocated for these matches, we can work on improving the communication of sales arrangements for Season 2014/2015.